Ryan Moore made it a Classic double as he came with a powerful late surge on David Wachman's Legatissimo to win the Qipco 1000 Guineas. Last at halfway, Moore - successful in the same colours on Gleneagles 24 hours earlier - bided his time waiting for the right moment to make his move, but it was a fine line as the favourite Lucida went for home. Jim Bolger's charge shot clear and looked to have put the race to bed, but Legatissimo was really beginning to lengthen and w ith Moore in full flow, she grabbed the lead and scored by three-quarters of a length. Wachman's filly was showing the benefit of her stamina, having won over an extended nine furlongs just a week ago. Tiggy Wiggy made a bold bid from the front and clung on for third, just ahead of Malabar. Wachman said: "She's a lovely filly, a big, scopey filly, and Ryan gave her a great ride. "Over the winter she showed me she could be classy, but we went to Leopardstown early this season and she was beaten in soft ground and we were scratching our heads a bit. "She won very well in Gowran last week, it was like a bit of work. We were taking a chance coming here so soon, but it worked. I knew that if it didn't come too quick we definitely had a chance. "She'll definitely get further, so we'll have plenty of options." Part-owner Michael Tabor added: "It's hard to believe, to win the first two Classics of the year - it's what you dream about. "I was joking with Ryan yesterday saying I'd never done the double and I said 'perhaps it will happen', but never really thinking it would. "She only ran a week ago and David said she'd run well as long as we weren't running her back too quick. If David has the right animal then he produces." 1000 Guineas Site dedicated to the first three year old Classic of the British flat racing season. Includes information on past winners, entries, runner form, trainer and jockey stats and latest betting odds and market movers. The QIPCO 1000 Guineas dates back to 1814 - it celebrated its 200th running in 2013 - five years after the introduction of the 2000 Guineas, an equivalent race open to both colts and fillies. 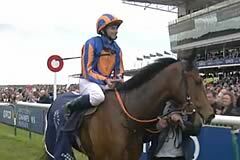 The second Classic of the British Flat season, the QIPCO 1000 Guineas is open to three-year-old fillies. It’s run on the Rowley Mile course at Newmarket, over one mile (1,600 metres) in late April or early May.